KRAUS GDA-1 Pax Garbage Disposal Adapter - 4-1/2 in. x 4-1/2 in. x 1-5/8 in. Large decorative drain cover conceals garbage disposal adapter and waste fittings, for a seamlessly clean look. Stainless steel supports on the underside of the cover allow water to drain easily, even when the kitchen sink is full. 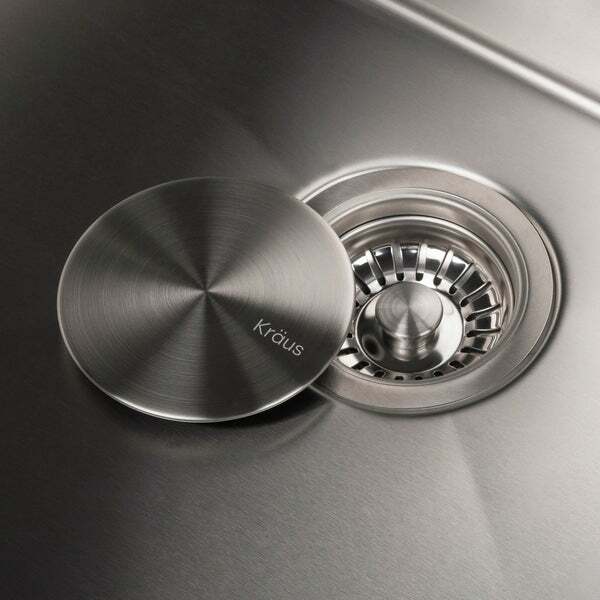 Flawless stainless steel finish matches the bottom of your sink. Dimensions 4.92 In. X 4.92 In. X 0.79 In.